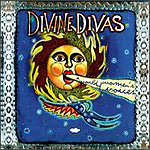 CD review: "Divine Divas: A World of Women's Voices"
This review first appeared in the May 3, 1997 edition of the American Reporter. What is packaged, marketed and sold under the single label of "world beat" in the United States is in reality a staggering variety of styles from hundreds of different traditions. World beat is, in fact, just about every and any music that's not in regular rotation MTV or the Top 40 charts, meaning that styles as disparate as Mexican ranchero and Balinese gamelan are often lumped into the same record bin. Thus, if you're curious about music from other parts of the globe, trying to educate yourself can be a pretty intimidating (and potentially expensive) task. All of which means that world beat compilations are the most cost-effective way of turning yourself on to new sounds. Rounder Records, the quirky independent folk label out of Cambridge, Mass., periodically issues various music collections  and when they do, they're invariably top-notch. No exception is their three-CD "Divine Divas," a fund-raiser for the United Nations Development Fund for Women. It is a follow-up to 1995's "Global Divas," a similar three-disc set that also raised money for UNIFEM. Of course, there have been plenty of godawful compilations issued for the purest of humanitarian reasons; "Divine Divas" transcends the politics of its creation through the power of its music. Whereas can you hear back to back the crystal-pure bluegrass of Alison Krauss and the contemporary Irish folk of Noirin Ni Riain? Or the historic original "Mack the Knife" by Dagmar Krause (in German) followed by June Tabor's version of "Sudden Waves"? The music is drawn from Algeria, from India, from Peru, from Texas, from Hungary, from Iran, from Finnland. It is nearly all wonderfully captivating, and what isn't is most certainly challenging. The enclosed booklet gives background information on each of the artists, and has photos for many as well. If you're curious about what else is out there to listen to, if you're feeling claustrophobic about what's on the radio, this is as good a place to start exploring as any.